Imperial Theatre brings another exciting show for you to get your hands on! Right here, right now… If you’re a fan of Ain't Too Proud: The Life and Times of The Temptations, then be sure to head on down on Saturday 4th May 2019 for a night you won’t soon forget! Around the world, few venues are quite as sought-after as the Imperial Theatre. One of New York City’s main attractions, people come from all over New York and beyond to see shows here. For many artists, performing at the Imperial Theatre is a dream come true – just as it is for the many fans in the audience!! With a reputation for providing only the best when it comes to theatre, music, and dance, there’s no better place to see a show than the Imperial Theatre! 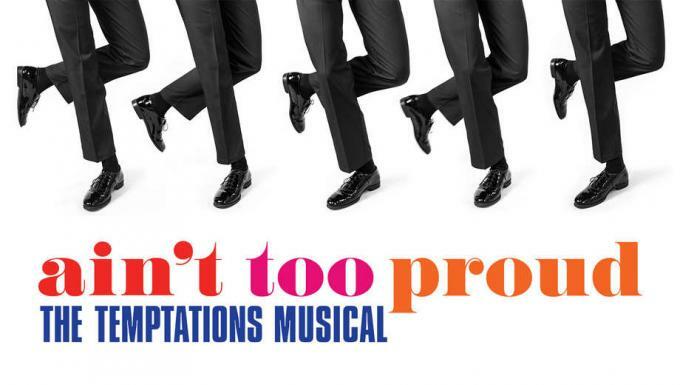 Early booking is strongly recommended for the best seats, so don’t delay – get your tickets to see Ain't Too Proud: The Life and Times of The Temptations on Saturday 4th May 2019 now, while they last! !